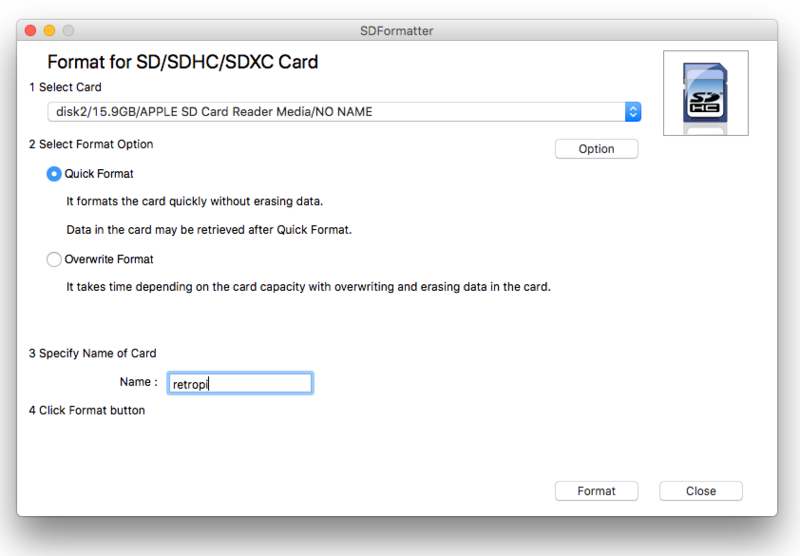 Use SD Formatter to format the SD card. 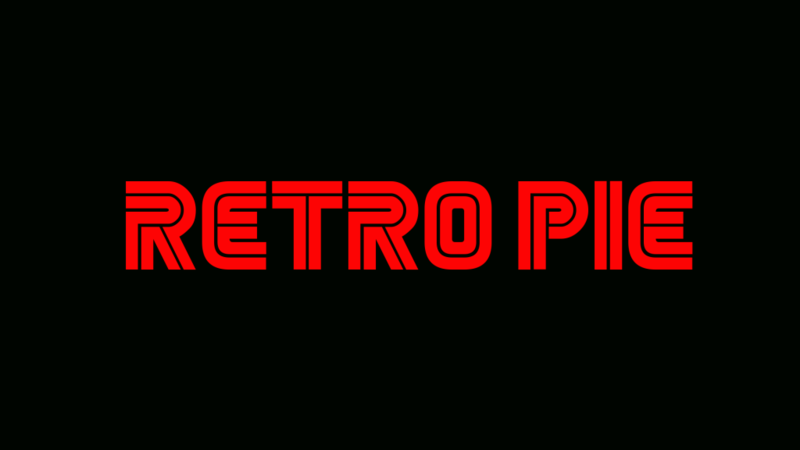 Select “Quick Format” and name the card (using “retropi” makes it easy to identify). On OSX you will most likely be prompted to enter your system password to proceed. 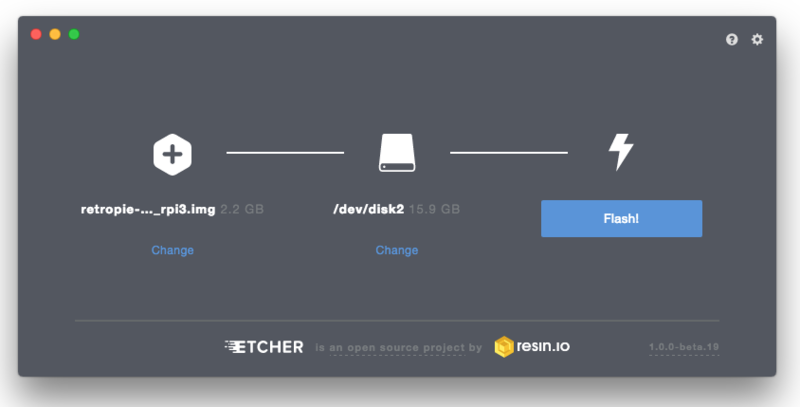 Once you have downloaded your SD card image from RetroPi you need to extract it. You will extract the downloaded .gz file and the extracted file will be a .img file. On OSX you should be able to extra the image by double-clicking the compressed .giz image you dowloaded.